Thank you for signing the Guest Book for Linda M. Kalva. Chicago Tribune and Wolniak Funeral Home thank you for signing this Guest Book. For additional details on the funeral home (directions, service arrangements, pre-planning), click here. Please take a moment to sign the Guest Book for Linda M. Kalva. 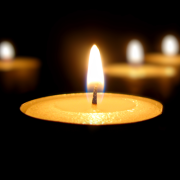 Send me a daily email when updates are made to the obituary or Condolence page for Linda M. Kalva.